I did this look inspired by fall colors. 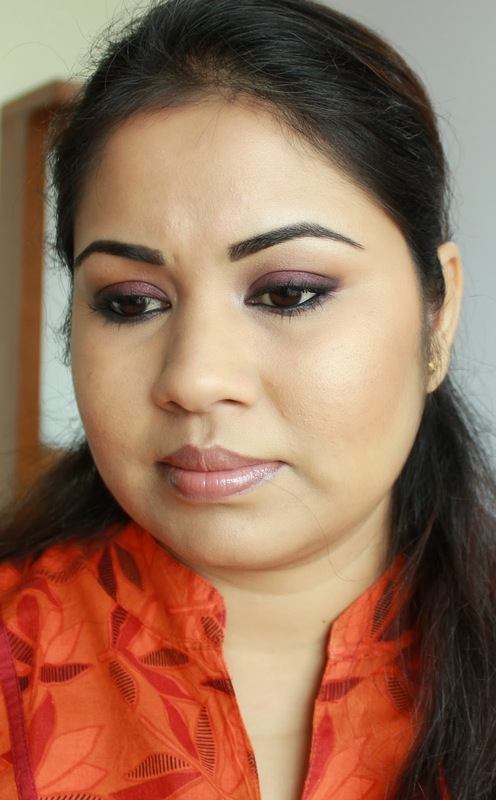 Burgundy is one shade that always reminds of Fall and hence I thought why not do a smokey eyes look using this lovely shade. I have used mainly matte eye shadows with a pop of shimmer under the brows and in the tear duct. Since the eyes are so dramatic, I decided to keep the rest of the look very natural. Thanks a ton Allison... Yes Deep Damson is really a pretty shade! Gorgeous look Eesha! I love your lashes!